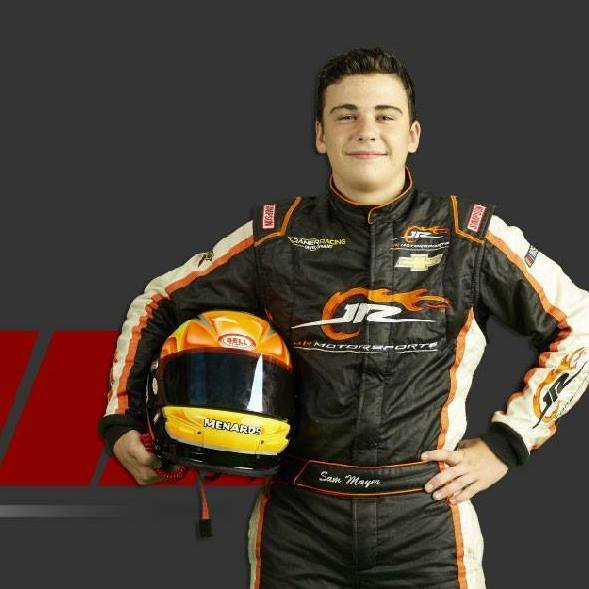 MOORESVILLE, N.C. , November 20, 2018	(Newswire.com) – ​​Second generation Wisconsin racer Sam Mayer, 15, was the highest finishing rookie in the 2018 CARS Response Energy Tour late model championship standings, finishing fifth behind his teammate, veteran Josh Berry, and just in front of fellow rookie Layne Riggs, the son of former NASCAR racer Scott Riggs. Mayer was also voted the series’ most popular driver in a poll conducted by southeast late model media Race22.com. Mayer, the son of former Indy Car and IMSA racer Scott Mayer, competed for Dale Earnhardt Jr’s JR Motorsports team, scoring one win, three top five and nine top ten finishes on the season. The personable young racer was appreciative of the award and thankful for the opportunity to race for JR Motorsports. When Mayer talks of the variety of different cars he’s driven, he’s not kidding. He won the 2018 Bojangles Summer Shootout Pro Series title at Charlotte Motor Speedway racing a legends car for Farbo Motorsports. He started seven NASCAR K&N Pro Series races this season, garnering two top five and three top ten finishes driving for Jefferson Pitts Racing and MDM Motorsports, and he also ran twice in the ARCA Racing Series for MDM Motorsports and finished in the top ten in both starts. All of those accomplishments came after his initial outing in a super late model at New Smyrna Speedway in February of this year, where he competed in the 52nd World Series of Asphalt Stock Car Racing against some of the best in the nation in the division and missed winning the series championship by one point after doing battle with drivers like NASCAR Camping World Truck Series racer Harrison Burton, NASCAR Xfinity Series racer Ty Majeski and late model veterans Stephen Nasse and Jeff Choquette. That time at New Smyrna established Mayer as a potential future star in the sport and showed insiders from the grassroots level to NASCAR that he had the talent and the mental focus to compete and beat drivers two and three times his age who have been racing and winning for decades in many cases.